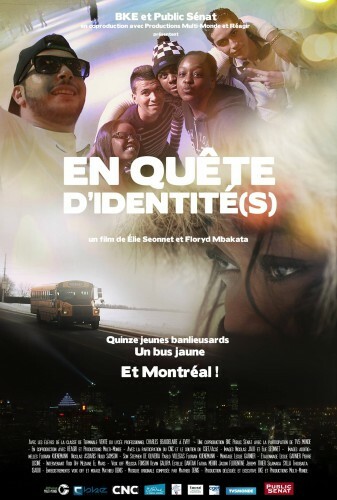 Multi-Monde Distribution has the pleasure to announce that En quête d’identité(s), a film by Elie Séonnet and Floryd Mbakata, will be presented at the Montreal International Black Film Festival on Saturday, October 3, 7 pm at the D.B. Clarke Theatre, Concordia University. The screening will be followed by a discussion with the directors and other panelists facilitated by Cathy Wong. The film is in competition in the Documentary category. Synopsis: Elodie, Gül, Hicham and their classmates leave Evry, located just outside of Paris. Together, these fifteen high school students travel to Montreal, Quebec, THE fashionable destination for French who want to leave France. For these young suburbanites of varying origins, religions and social classes, this trip is an opportunity to see how others experience diversity elsewhere. Is life easier in Montreal when you’re 18 and from a minority background? To find out, they drive around the city in a yellow bus meeting young people their age, people from France who have moved to Montreal, academics and community leaders. Using their smartphones, the teens record their adventures and film their reactions to the city. Faced with this other model of society, both close to and far from their own, they question their own identity and paint a fresh, bracing picture of the France of tomorrow!